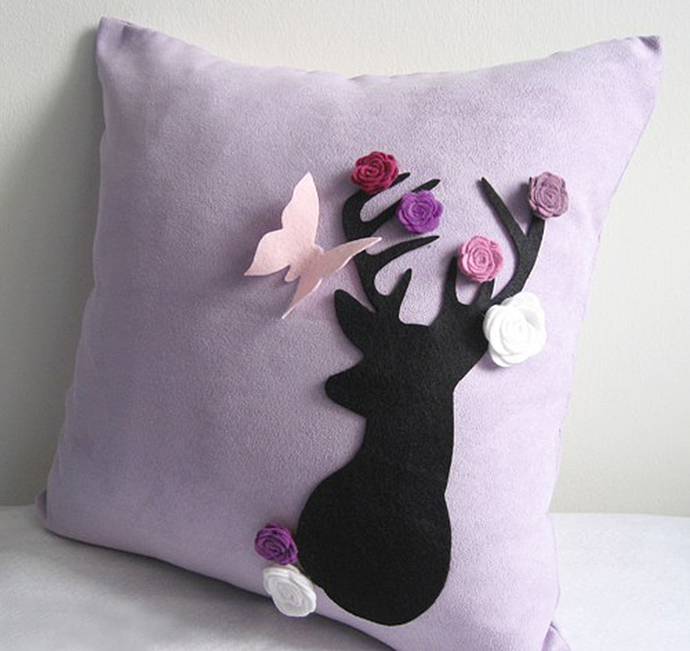 A very pretty decorative pillow for your whimsical corner : ) Great as housewarming gift, Easter gift and for Christmas too! *Listing for Pillow Cover Only, no insert. Any insert of 17" x 17" or 16" x 16" fits. 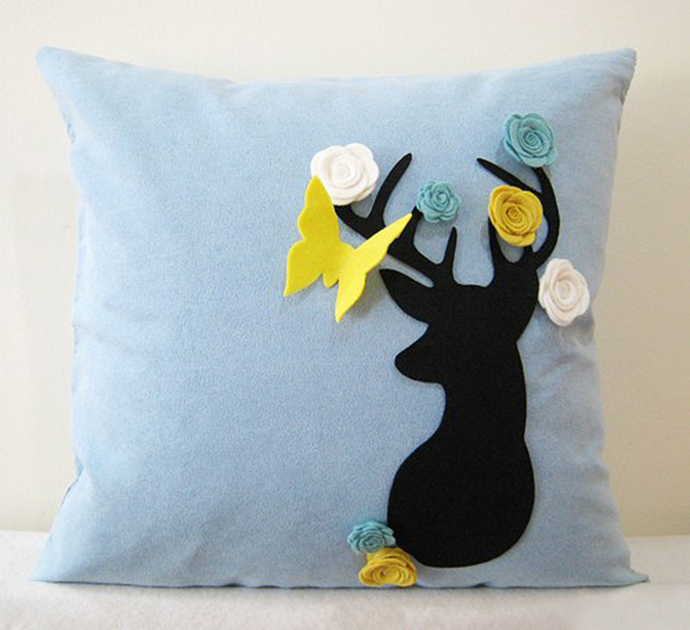 This one-of-a-kind pillow cover features a deer hand cut of recycled felt. 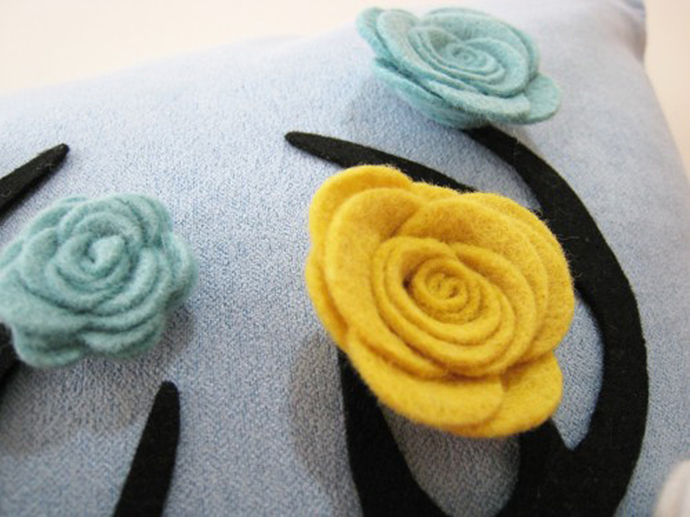 All in her mind is dimensional flowers blooming in the Spring, shades of white, yellow and teal, which are handmade of wool felt. Hand-sewn stitch by stitch with love on the front panel. Fabric is fine Suede in Soft Blue, with invisible zip at the bottom for insert removal. **Lilac base(LAST Picture) is available too. Please refer to the Options to choose.